I absolutely adore Alanis Morissette, I have been a huge fan of hers since her first album. I know, I know, I am telling my age but hey it’s all right. Jagged Little Pill was Alanis first album that was released on June 13, 1995. It’s funny how little things have huge meanings later. Recently I have done an honest elevation of myself and I am glad that I did it. At times some of our biggest epiphanies come from our deepest pain. Sadly they sometimes come at a time when it’s too late to be able to change certain situations but at least we grasp some true realizations. Alanis Morissette music holds a lot of significance for me because it’s part of my memories of my first love…my true love. Love is a powerful feeling and beautiful too. Love is scary because it requires vulnerability. It requires not having any walls how else would a person be able to feel it? People who have never experienced true love know nothing about why the people who do act the way that they do. The other day I listened to the song called Torch it is an amazing song. Alanis wrote the song about her break up with Ryan Reynold. They had a serious relationship. Their relationship was five years long and they got engaged. Talking about going from you oughta know to a torch mentality. Like Woah. Torch was written to help her get over their break up. Their breakup was mutual. She took the high road writing about everything that she loved and missed yet soldier on in such a graceful way. True love can get a person to reflect on the time that happened yet be able to wish the other person the best. Afterall behaving negative wouldn’t a relationship that ended. Does it hurt? Yes, it does. Letting a person go who you had all these dreams attached to like getting married and having children together, it’s a jagged big pill to swallow for sure. I was definitely there myself before. There was many who couldn’t understand the reason why I did and felt the way that I did. I really was in love with my first love and I will always have a love for him. I have always wished him well and hoped that he received the love that he deserved. Sometimes true love can happen at a bad time my mother was dying of cancer at the time. I had so much responsibility at the time. Torch taught me that I was always on the right track even many years ago. Most people don’t realize what real love requires. I am just thankful that I experienced true love at least once in my life. If I never do again it’s alright. 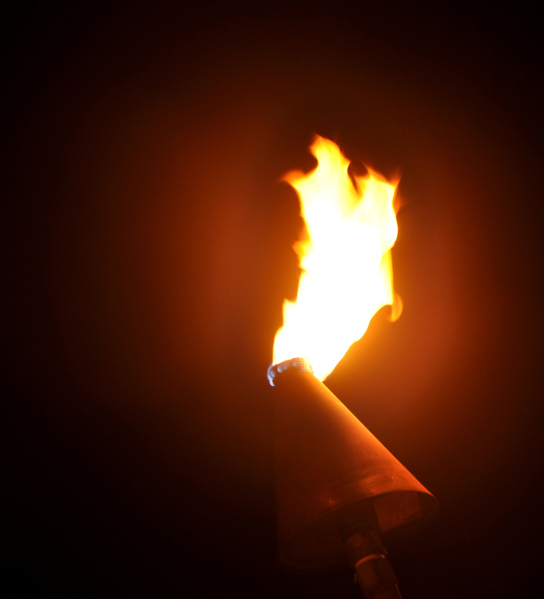 I have once carried a torch, have laid it down, and have no hope of relighting aka rekindling anything. Betty White turned 97 years old the other day and she said something that was so profound she said “Enjoy life,” Accentuate the positive, not the negative. It sounds so trite, but a lot of people will pick out something to complain about, rather than say, Hey, that was great! It’s not hard to find great stuff if you look.” The best advice about life ever!